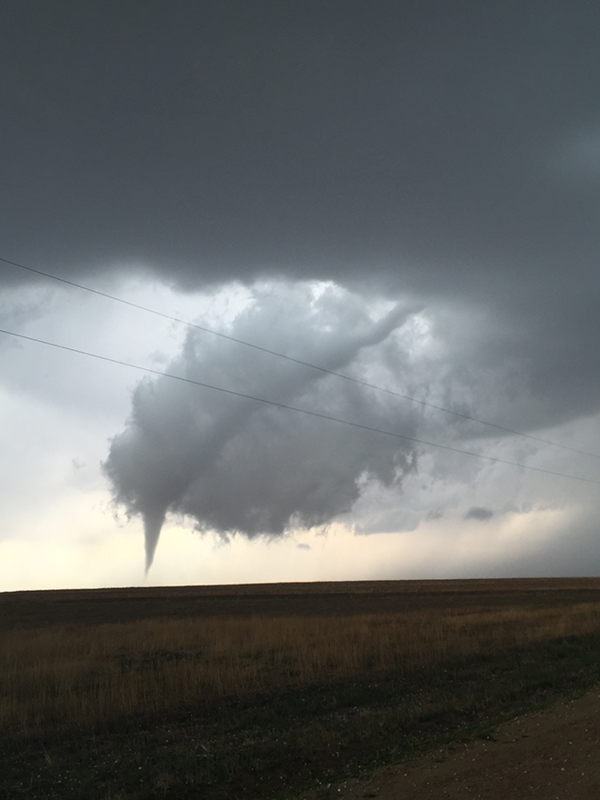 A number of tornadoes and funnel clouds were spotted Friday (April 15, 2016) across southeast Colorado. 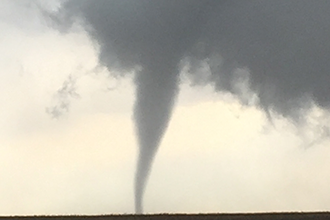 According to the National Weather Service, two tornadoes occurred in Kiowa County south of Eads and caused no damage. 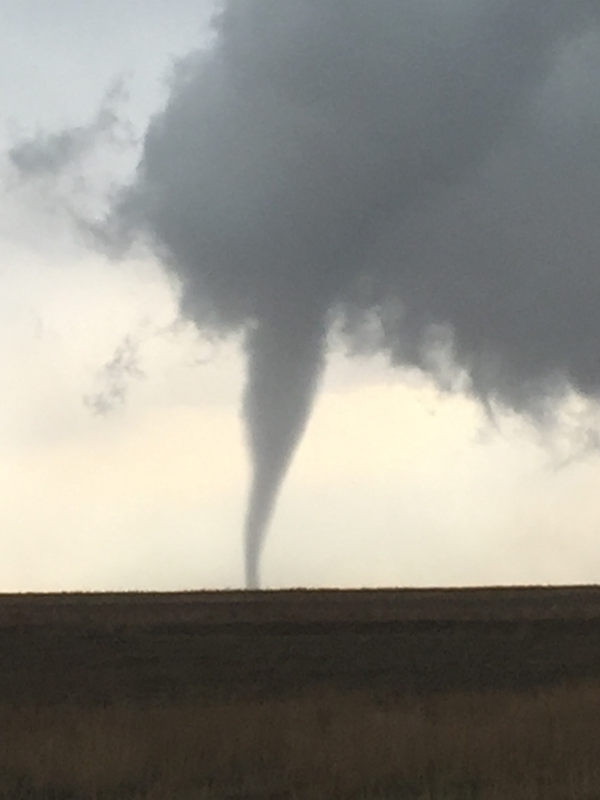 A Tornado Warning was issued at 1:51 p.m. 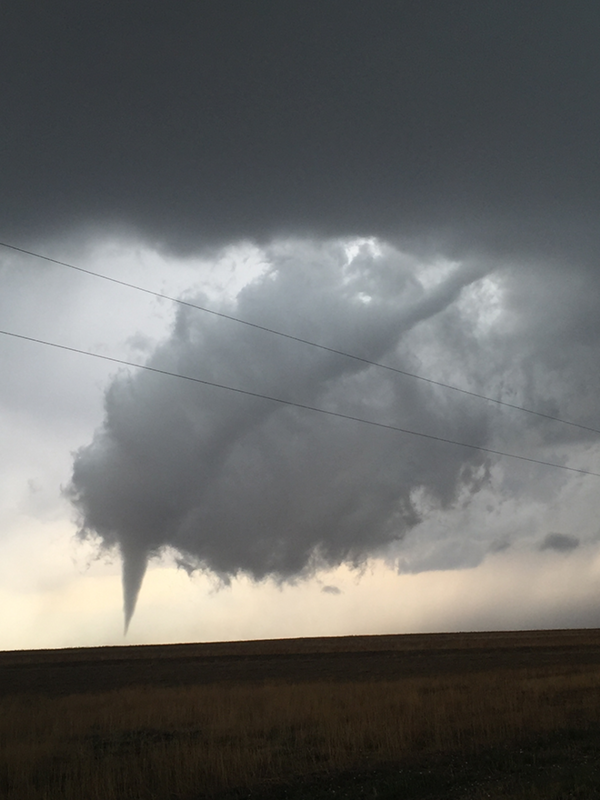 The first tornado occured from approximately 2:09 to 2:13 p.m. 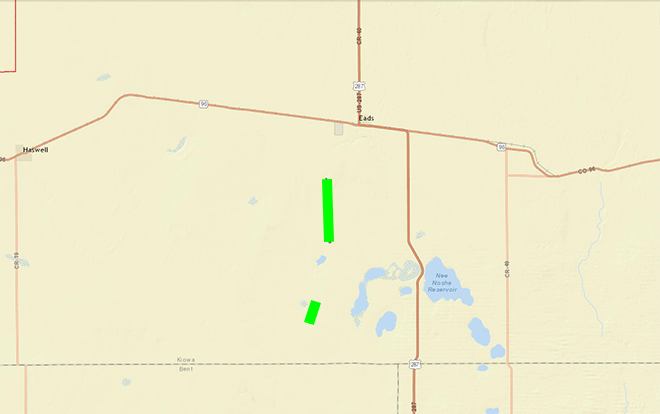 The second tornado lasted from 2:23 to 2:36 p.m. 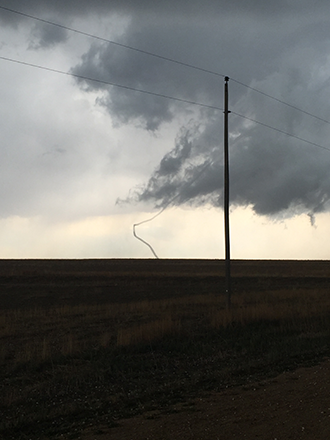 The photos below are of the tornado tracks and a tornado spotted just south of Eads in the early afternoon.